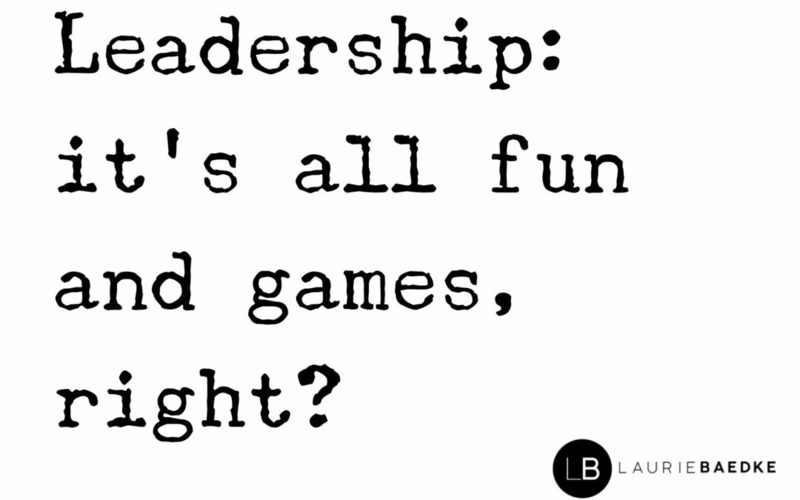 Leadership: It’s All Fun and Games, Right? When you’re an outsider looking in, your perception of leadership may be different than what it actually is. You may see all the “fun” bits – the respect that’s garnered, the decision-making, the control. But what you don’t see – the reality – includes the not-so-fun, messy stuff. My daughter is only eight, so to her, a task like washing the car looks like a lot of “fun”. That said, she’s always begging to “help me” wash my car. So I finally conceded last week. It reminded me so much of the anticipation and the enthusiasm for what’s perceived as the “fun” part of a leadership gig. It’s very tempting to eagerly covet a leadership position, because of the glorifying moments, the responsibility that comes with leadership. But for those same reasons, there are an equal and opposite number of reasons that leadership isn’t all fun. The human dynamic of dealing with people often gets messy and ugly. Your decisions may not be well received. And, it’s inevitable that you will occasionally fail. Then you must face the consequences, be it from your boss, or your stakeholders, or your team. Don’t take leadership at face value. It’s not all about power lunches and basking in the glory of positional authority. The reality is, yes, leadership is all that, but there is also a great deal of pressure and stress and confrontation that comes into play with being THE person who makes the decisions. Remember to take the perception with the reality.